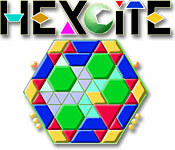 Hexcite is a sensational puzzle game! 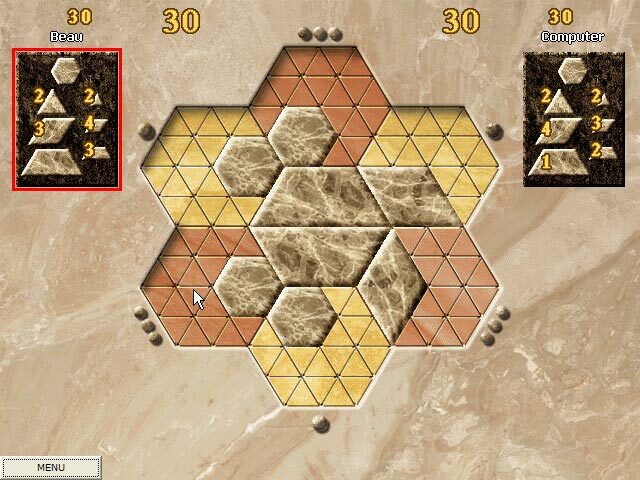 It is quite simple to play as you have 7 different shaped tiles that you place on a hexagonal board. A great number of players have found the game thoroughly addicting and highly stimulating and mentally challenging. This game has taken Japan by storm with an actual board game version. Hexcite is rated 2.0 out of 5 by 1. Rated 2 out of 5 by mrm2006 from I Really Really Wanted to Like this Game .... SIGH. This game looks so easy and sounds so easy - until you open the playing board, then all is lost. Basically, it's simple, you get a certain number of a variety of shapes which you have to place on the playing board in such a fashion that the more sides that touch the pre-existing shape the more points you get. Pros: The game shapes during the tutorial were very colorful. Cons: The tutorial is useless. It teaches you nothing. It's just the subjective "you" playing against the computer and losing every time without any guidance whatsoever. During "practice" you also get no guidance whatsoever. During "practice" a list of "questions" and "answers" that show no questions nor answers (except a cryptic 2 word thing that makes no sense whatsoever. For instance: within 4), never explained, didn't know what it meant. 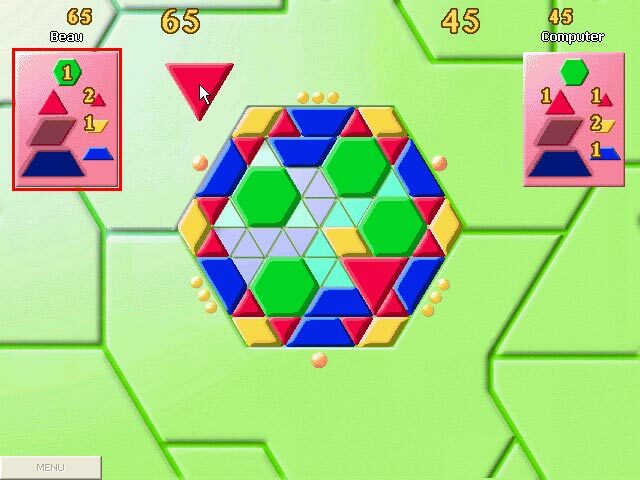 During "practice" and "game play" you ONLY played against the computer using really ugly, diseased looking marble stones in various shapes. I bet I could have passed the game with flying colors if I could have played alone - minus the computer. There's more but way too much to get into. For the above reasons, and many more, what I had hoped to be a fun and addictive purchase turned out to be the biggest dud of the century. I can't even recommend this so others can waste their time. NOT.